Note: This is a performance and stability oriented rewrite of Carbine's Nameplates, and is a part of a series of bug-fixed, performance tuned, work-alike versions of Carbine and other popular AddOns. 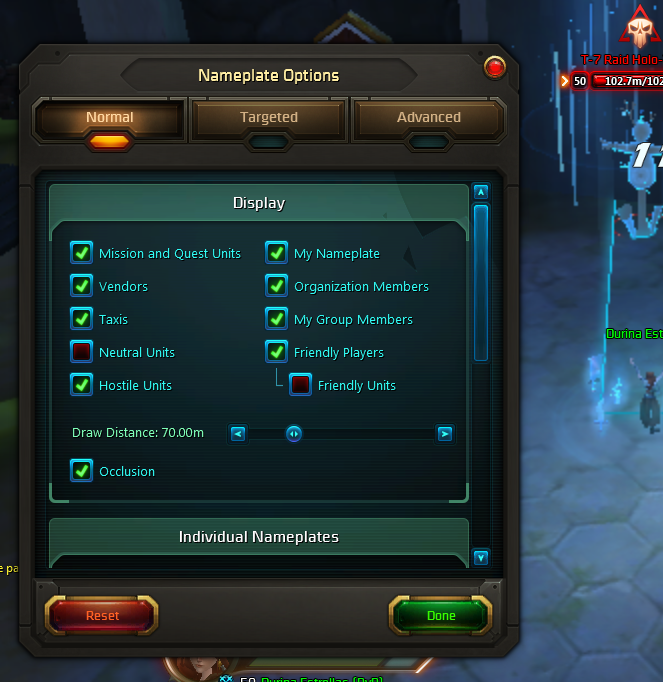 For many players, performance in WildStar is still a big issue, and can be especially apparent when real game-play or action starts. Current versions of many AddOns can take multiple milliseconds per-frame, per AddOn. My intent is to share what I use as a possible service to the WildStar community and authors. Authors or Carbine are welcome to reincorporate changes or ideas back into their AddOns, hoist the code verbatim into the original, or otherwise. Just let me know, and can even deprecate and link back to the original if necessary.